I am having a quiet, contemplative morning and enjoying a bit of summer even if tomorrow is the first day of autumn. The gentle sunshine tells me that I have only another couple of weeks of being able to walk barefoot on the tiles of my apartment before they morph into ice blocks, and so today I have all the windows open as I savor every last sound and scent of summer. I am simmering a Thai curry thanks to my friend Ruth and Stuart who bring me lovely savory gifts every time they go to the UK, and it even boasts a sweet potato because we can now find them at our mercato!! Che piacere!! I hope to park myself outside in the afternoon and do some work on the next installment of my adventures here. 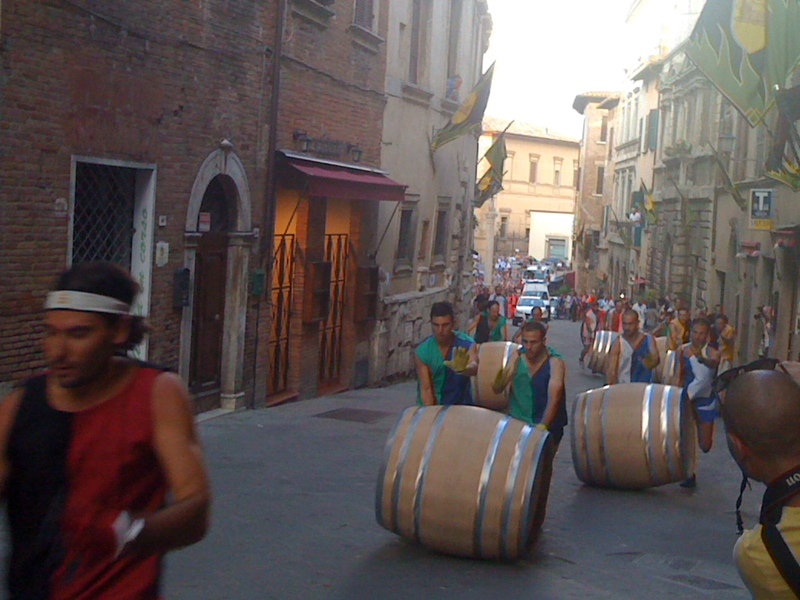 We had very little summer this year in Tuscany with lots of rain and chilly temps and so I am grateful for a warm day. Fingers crossed for a good grape harvest after a challenging summer. The season has flown by and I have been out of touch with everyone, my days filled with winery clients, pouring vino and very little time off. But now as the moms of my English students begin their annual request for lessons, I know the season is coming to an end. So more time to keep in touch. 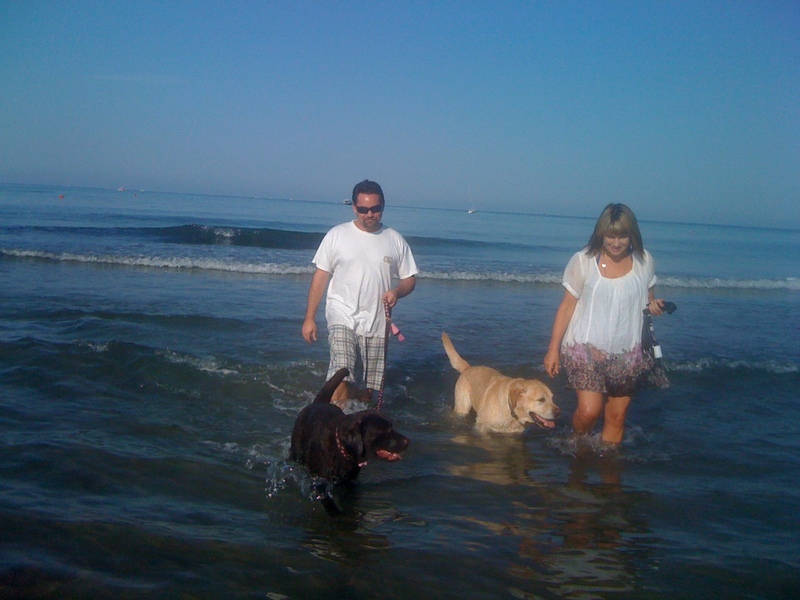 I made it to the seaside finally for my birthday and spent a fun weekend with my expat friends Keith and Tania and their two pooches romping in the surf. With my girl Cinder gone for over a year and a half now, the first whispers of “puppy” are starting to creep into my thoughts. 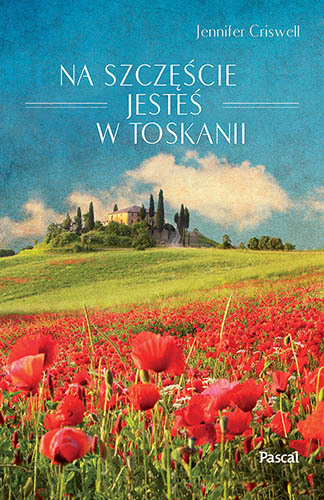 At Least You’re in Tuscany was published in Polish and I met a client at the winery who had bought it and READ IT in Polish. That was pretty darn exciting!! The next installment of my adventures should be finished in the next few months. Ever the optimist! The highlight of the summer was a visit by my friend Bonnie and her family. Do you remember the five kids I used to babysit during the first years I was here?? Well, they came back for the Bravio this year and it was so wonderful to see them. The kids struggled a bit with their Italian, which had faded, but by the end of the week much had come back. 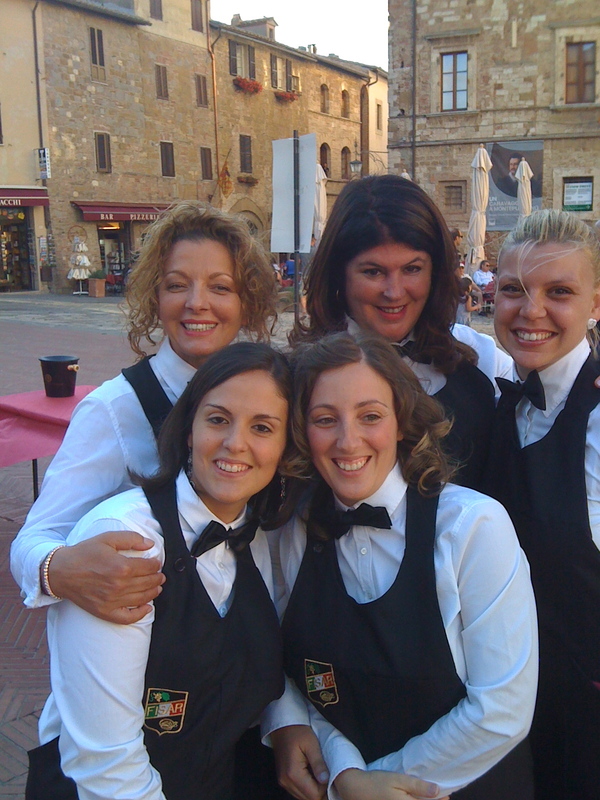 We went to Contrada dinners almost every night and it was so comfortable and lovely to spend time with all of them. The kids are pushing to spend a month here next summer and I chimed right in with my approval of that plan!! My challenge for the winter is the Italian driving test. My studies have been haphazard at best since the homework isn’t nearly as fun as it was for the sommelier course! Need to study more than the hour when I am getting my roots colored every few weeks. I will probably sign up for the course after the season, but can I just say for the record, there are way too many road signs here! Hope everyone enjoys the upcoming weeks and the delights of the autumn!! The Porters were back in town!! 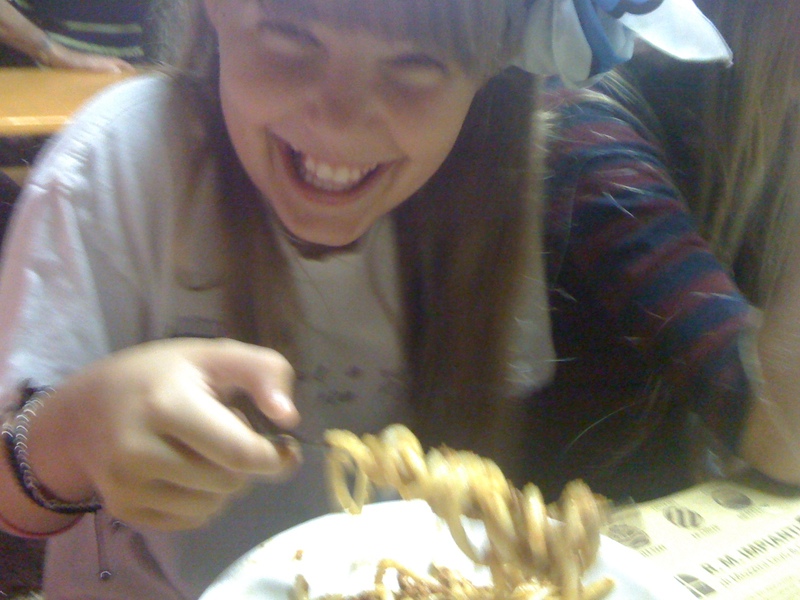 Natalie was a little rusty at twirling her pici! Bravio Day!! The race didn’t go our way this year, but victory will be ours next year!! Forza Gracciano!!! 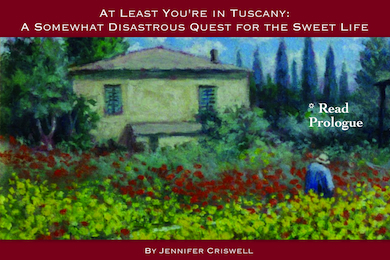 At Least You’re in Tuscany…. the Polish version!! 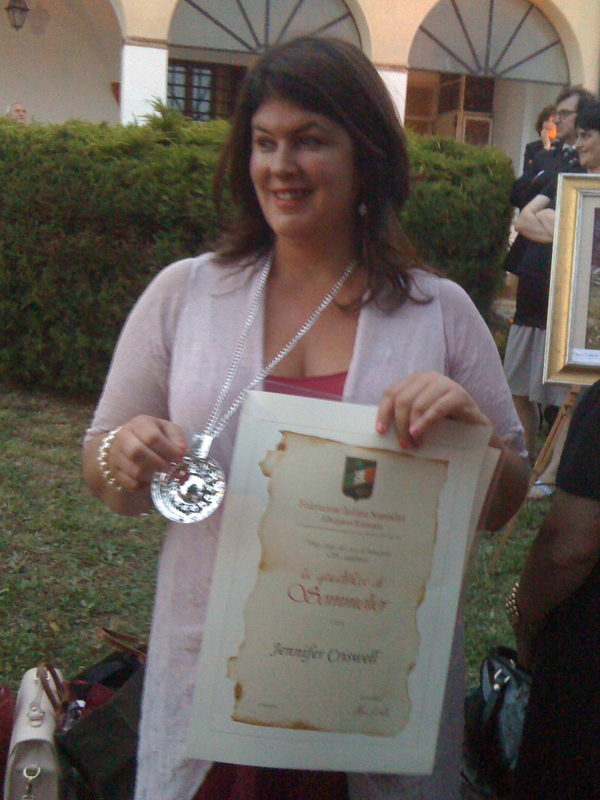 Jennifer — So good to hear from you again and to hear of your continued successes in bella Italia, especially your sommelier certification and your book published in Polonia! Congrats to you!!! Good luck with that pesky drivers test and you are correct about too many signs. Don’t they realize that most of the time they just make you drive around in circles? But just keep thinking about the freedom you will have once you have it mastered and have your own wheels! Have a wonderful autumn and vendemmia! Hi Jen, I love your story and how it is unfolding each and every year. Congratulation on your sommelier certification, I had to look this up :). It looks like you had to put in a lot of time an work to receive this. I am really looking forward to your next book so please continue to put your time into your writing. Look on my facebook page if you want to see some family faces from California. So proud of you and I’m always interested in what you are doing.